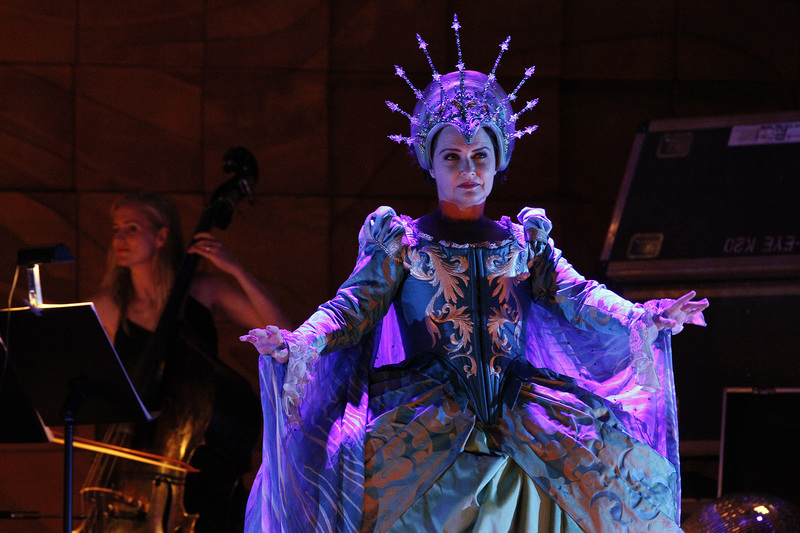 A knight travels to the moon in a reimagined Baroque opera of love, loss and hope. The great warrior Orlando has fallen into a deep madness. His friend Astolfo travels to the heavens with the mysterious Magus to find a cure and discovers the moon is home to many lost things including Orlando’s sanity. But first he must convince the all-powerful Guardian of the Moon, Selena, that Orlando is worth saving. One of the greatest Australian sopranos, Emma Matthews assumes dual roles as both Selena and Orlando while leading Australian mezzo Sally-Anne Russell is Astolfo. Former Victorian Opera emerging artist Jeremy Kleeman sings the role of Magus, with Phoebe Briggs leading a period ensemble from the harpsichord. Voyage to the Moon is inspired by the epic poem Orlando furioso, weaving a story from the music of Handel, Vivaldi, Telemann and Gluck, with new words by theatre legend Michael Gow, breathtaking singing and stunning costumes. Presented in partnership with Musica Viva, Voyage to the Moon will open in Melbourne before travelling to Sydney, Brisbane, Canberra, Perth and Adelaide. Victorian Opera and Musica Viva, in association with the Performance Program of the Australian Research Council Centre of Excellence for the History of Emotions, led by Jane Davidson (overall Academic Curator of this partnership), Alan Maddox (Associate Investigator), Frederic Kiernan and Joseph Browning (Research Associates). the Musica Viva Amadeus Society.